I wish I could take credit for this recipe but I can’t, this one belongs to Elana’s Pantry. I have made these crackers more times than I can count, they are easy, taste fantastic and are probably not like any other cracker you’ve had. 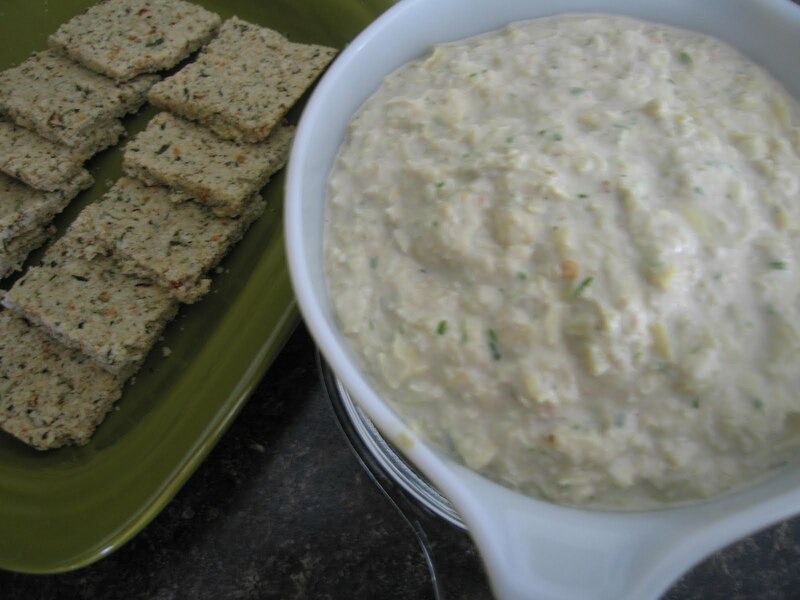 They are great with soup or with your favorite dip. I recently made these for my mom to go with this yummy, warm, spicy roasted squash soup after her last chemo treatment (YEAH!). This was a perfect combination because I wanted something delicious and comforting, but good for her. Did I mention these crackers are high in protein due to the fact that they are made with almond meal. Enjoy! 2. Mix all the dry ingredients together first. Then add the olive oil and water, mix again well. 3. Using a parchment lined baking dish (8×8 or 9×9 in size) pour the mixture into baking dish. Press the mixture into the bottom of baking dish, making sure to even out the mixture. Make sure the mixture is pressed down firmly and evenly. 4. Bake for 10-15 minutes or until the top of crackers mixture is browned a little. 5. Take out of the oven and let cool 20 minutes. Then cut the crackers, I get 16 crackers out of my batch.